If you're the kind of guy who takes extra pride in your hair, then be sure to check out the long, and growing, range of shampoos and conditioners from the increasingly popular OGX collection. OGX is a diverse range of effectively formulated hair care products that deliver multiple results for different hair types. Whether you're looking to add an extra punch of volume to your barnet, or to simply keep your hair conditioned and healthy, OGX has it covered. So, after trying a number of OGX shampoos and conditioners, we thought we'd give you our recommendations on the products that would be particularly suitable for men and their specific hair care needs. 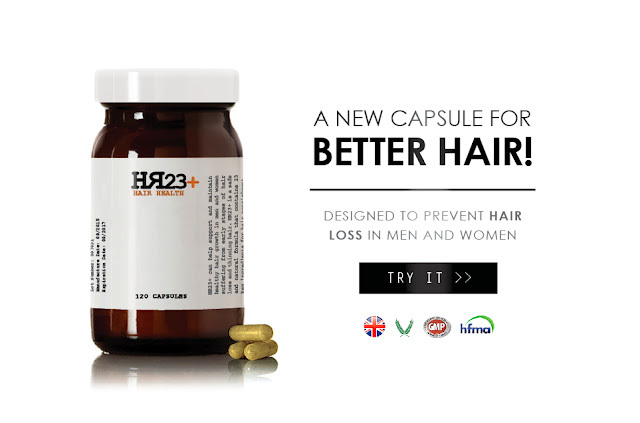 Hair loss can affect up to 60% of men, and we are always looking for ways to minimise the effect of hair fall and thinning. 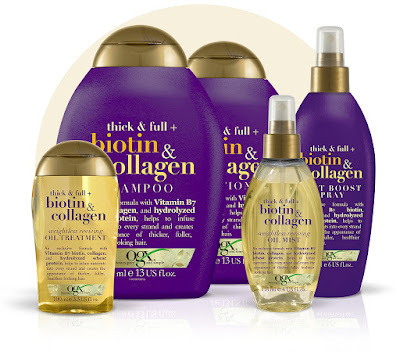 One of the most well known pro-hair-growth ingredients is Biotin, and so we were super-excited to try the new Biotin & Collagen collection by OGX. The nutrient-rich, plump-it-up power of this haircare infused with ProVitamin B7 biotin + collagen helps give each strand a beautiful boost. This dynamic duo will leave your hair feeling thicker, fuller and looking oh, so healthy. The recent success of the caffeine based anti-hair loss shampoo, Alpecin, has paved the way for more caffeine based shampoos and hair care products like the latest additions from OGX. Feel more beautiful and in control with the help of this fallout-busting formula blend. A power-packed fusion of niacin and caffeine, this collection can help exfoliate and stimulate your scalp while combating hair loss. For best results, use each product in this collection together. With Argan Oil craze stronger than ever, the OGX collection is way above and beyond its competitors. The rise in popularity of Argan Oil based hair care products is due to the results this amazing ingredient delivers. 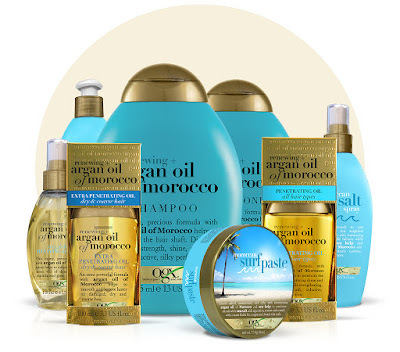 The secret in this signature line is that it's infused with argan oil sourced straight from Morocco. Rich in natural vitamin E and super-charged antioxidants, this special ingredient has been making hair gorgeous for centuries. 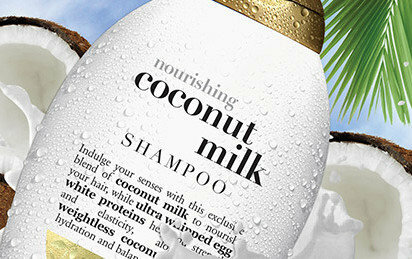 This collection helps renew your hair, leaving it lush, soft and divinely shiny. 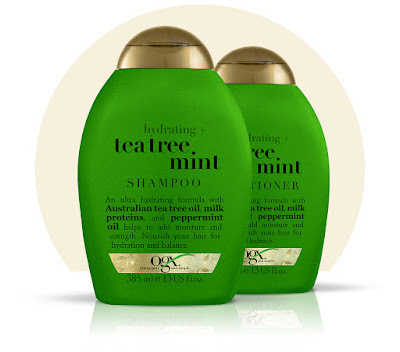 We all want our hair to smell great, regardless of what the formula actually is, and so it really doesn't get much better than a good whiff of tea tree, with added mint. Infused with Australian tea tree oil and milk proteins, it helps to moisturise and strengthen your mane. Micro-infused with peppermint oils, it helps to stimulate each strand and wake up your senses. If you're half as intrigued as we were about the ever-growing OGX hair care collection, then get yourselves over to their official website to get a better flavour of what this excellent brand is all about. 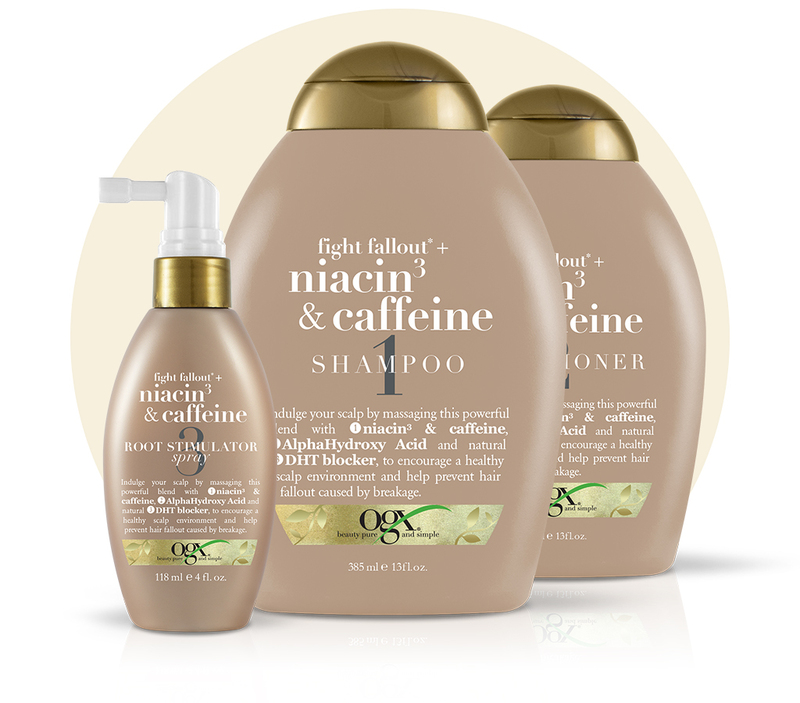 OGX currently have 20 different ranges, each containing multiple hair care solutions.